0.75ltr Handmade Round Ships Decanter. This modern looking plain Admirals decanter has the benefit of a large engraving area.. 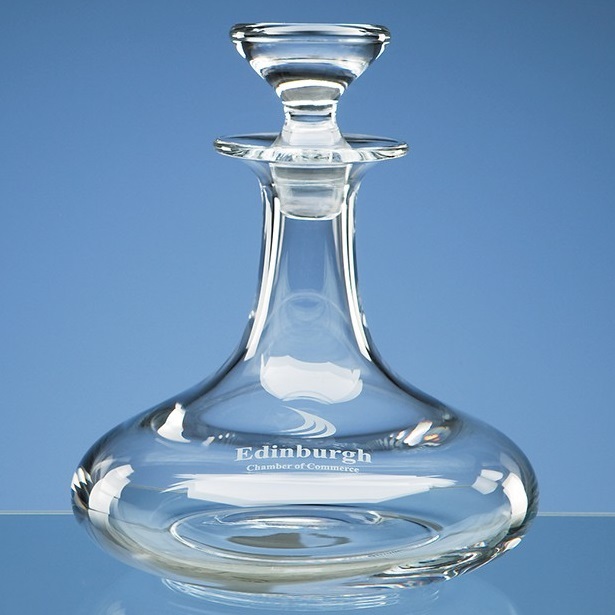 The decanter measures 225mm x 195mm. It weighs 1.2kg unboxed.